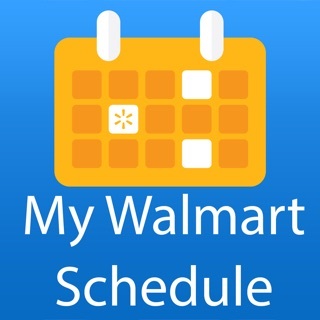 Loved this app and Walmart. But a couple of the main things I liked have actually changed for the worse. First is the savings catcher. I’ve been using it for years. Matches the sale prices at other stores and puts them on a digital Walmart card for you. You used to be able to scan your receipt. But now they will only do it if you used Walmart pay and paid through the app. And Walmart pay has its own issues. First it’s slow and customers behind me in line tend to think I’m just playing on my phone. Even some of the cashiers don’t seem to understand. And sometimes I want cash back which doesn’t seem to be an option on Walmart pay. Next is their 2 day shipping. Things used to show up in the promised 2 days. But the last two things I’ve ordered have taken 4 days on one and 2 weeks on another. They are only counting actual transit time. NOT processing time! It’s not 2 day until Fed Ex actually receives it from Walmart. And both my items were sold shipped by Walmart. And both said 2 day shipping. And both promised a delivery date in 2 days before I hit the pay button. Then magically the date changes to four days or beyond. Keep that in mind for gifts. If it’s gonna take a week or so that’s fine. Just be upfront about it. Won’t allow you to cash in rewards!!!! Okay like so many people I have been doing the savings catcher for years now. I typically will let it build up and then we I get around $30 or so I start look at the clearance camping supplies. I always joke with my wife that the savings rewards are my little bonus for how much she spends there. However this last little update has really ticked me off. I know a lot of people are upset about the auto gift card transfer. I don’t mind that but I am upset that for the past few days I’ve been trying to transfer more into my gift card but every time I try it tells me oops sorry we are having trouble please try again later. I thought that it might just be the app. So I tried my laptop. When Safari didn’t work I tried Firefox. Then I wrote customer service and they said they were sorry but that I should access the site from google chrome. So I did that and it still doesn’t work. When I try to click on the transfer to gift card it won’t even acknowledge that option. I just wish that everything would be as smooth as it used to be. 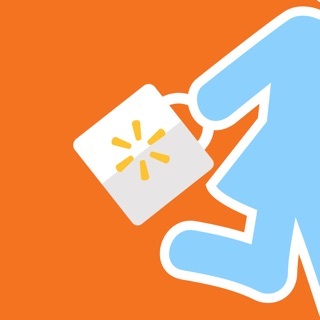 I have been using the Walmart app, primarily for the use of Savings Catcher, for many years now. While I didn’t always get back tons of money, I always appreciated knowing that I was getting the best deal without shopping around while also being able to save my receipts digitally. I am incredibly disappointed in the recent move to linking receipt uploads ONLY through Walmart pay. I have chosen not to use Walmart Pay for personal and security reasons, not to mention that I also like to pay cash. This move (clearly to force users to use Walmart pay or miss out) disenfranchises so many users! There are many people who don’t feel comfortable using that pay method, or that just need to manually upload for many reasons. I know that you have lost me for sure from your app, and possibly from shopping as often, as receipt uploads to savings catcher made me shop there more often. If I can’t use Savings Catcher without being forced to use Walmart Pay, then this is no different than any other store... no more incentive to shop here. I genuinely want to use Savings Catcher and have the convenience of having receipts saved for me again. Bring manual uploads back and I’ll begin shopping here more frequently again.